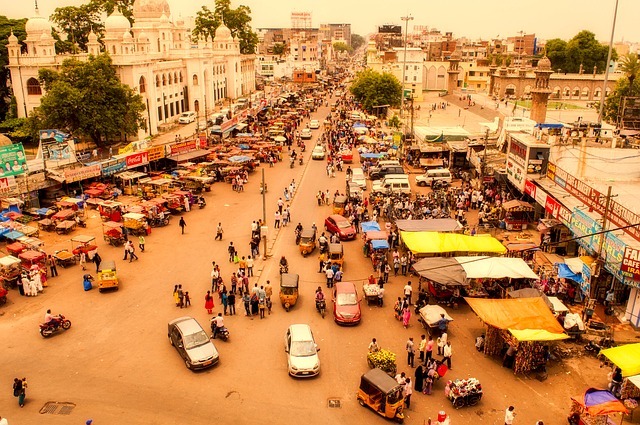 History is a story of the past and the city of Nizams is rich in it! 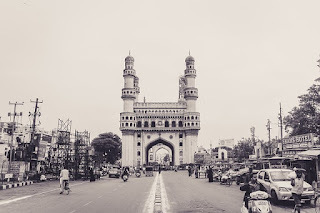 Hyderabad has a lot of monuments that withstood the test of time Join me, as we visit these monuments! In the center of the city stands an iconic structure which comes to everyone's mind as soon as they hear the name Hyderabad! This four pillared historic gem Charminar was constructed in 1591 it has a mosque on the top floor which is around 400 years old. Did you know that according to a popular belief ,there are a series of underground tunnels which lead to the golkonda fort from right below the Charminar! These tunnels are still a secret and no one knows where to find them yet. It surely has its mysteries but Charminar is now a global icon of hyderabad is crowded by people throughout the year. Who hasn’t heard about the Kohinoor and the Hope diamonds? Even though we don't have these diamonds in our country as of now the place where it was found is this - the famous, Golconda fort. 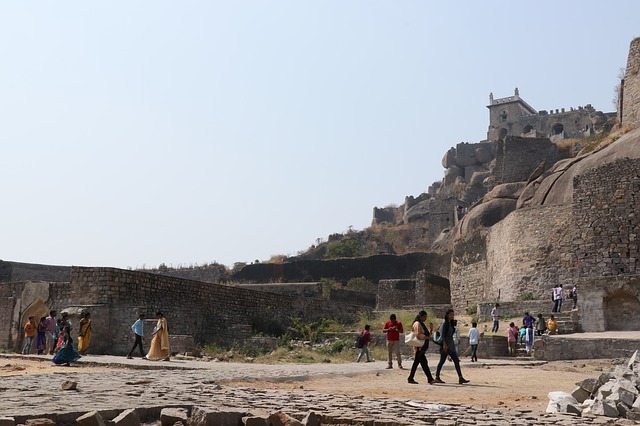 The Golconda fort is a brilliant architectural wonder with perfect acoustics. A clap from a certain part on the entrance could be heard clearly in the corridors of a chamber almost a kilometre away at the highest point of the fort. You can also see a jail where the King’s revenue officer Rama Das was jailed. Legend has it that Lord Rama came in the dreams of the King asking him to release Rama Das. 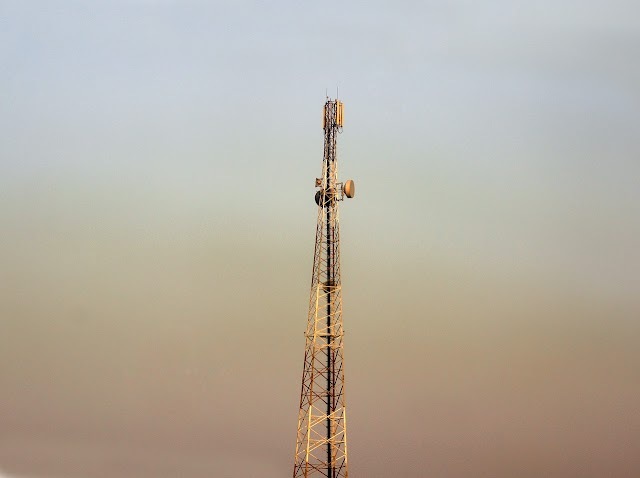 Standing atop this peak you can see the entire city scape of Hyderabad. The Chowmahalla palace is located near the Charminar and is one of the top attractions in Hyderabad. Just a km from the golconda fort are the Qutub shahi tombs. Built by the Qutub Shahis , these tombs are considered to be among the oldest in Hyderabad. There magnificient structures have withstood the test of time and it still stand strong There are 7 tombs in total and are surrounded by the landscape gardens known as the Ibrahim bagh It is a popular tourist destination and the people who visit the Golconda Fort should not miss the Qutub Sahi Tombs. There are 7 generations of kings who are resting in these tombs This place is perfect for a relaxed evening walk! Chowmahalla palace is named so as it consists of four palaces. 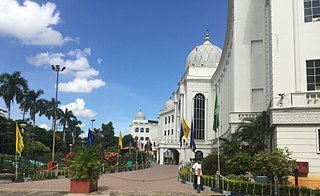 Among these,the Khilwat Mubarak, was the darbar hall and the Clock tower which has a clock that has been for over 251 years now. This used to be their official residence when they ruled the state. There is a 1912 rolls Royce Silver Ghost car which was used by the Nizam,on display here. It took 35 years and lots of travel for an ardent collector to make his life’s dream a reality. Now, this museum, which is the largest one-man collection of antiques in the world is rightly named after him as The Salar Jung Museum. The museum has 38 galleries spread across two floors and only part of Salar Jung’s collection is placed there. One of the main attraction here is the Mephistopheles and Margaretta statue which is a life-size double statue that was skillfully crafted from a single block of wood. The unique craftsmanship of representing the bad(man) and the good(woman) in a single statue invites spectators from all over. At 12 noon sharp,a huge number of people gather in the hall to witness a small but beautiful doll that comes out of a clock. Having a wide display of the gifts and mementoes which was given to the last Nizam of Hyderabad The Nizam museum is a repository of souvenirs. 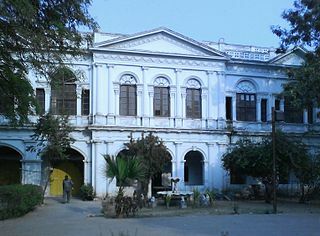 Located at the Purani Haveli, a place of the erstwhile Nizams, Opened to public display in the year 2000 this place showcases the ancient culture of the Nizams. Well planned architecture and intricate craftsmanship has skillfully helped in creating these timeless monuments. I hope you liked the article very much. If yes, Please do share with your friends! Sharing the spirit of India through writing and images - travel, destinations, blogs, people & culture, spirituality, adventure and so on!